James is an accomplished fisherman. He has spent his lifetime honing his skills in all the fisheries we have available to us. 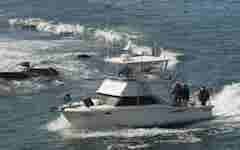 James worked as a deckhand on a variety of vessels in Newport and here in Depoe Bay. James spent several years as the deckhand for the Samson but took the initiative to get his Masters license and bought his own boat. Knowledgeable about all the fisheries in our area we feel James will to be a strong addition to Dockside's fleet. Fast as lightning on deck James can easily keep up with fish on a hot bite. 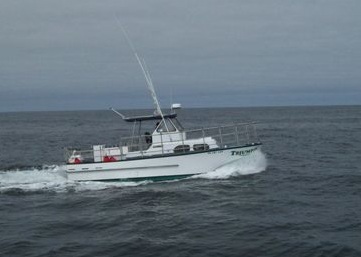 The Triumph is a 33 footer with full walk around for maximum fishability. 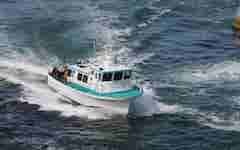 James charters for Bottom Fish and Ling Cod, Halibut, Salmon and Tuna. With customer service and safety always first James keeps things lively and fun.